In person sessions are in Los Angeles county. For online sessions, the shown times are in Pacific Timezone. 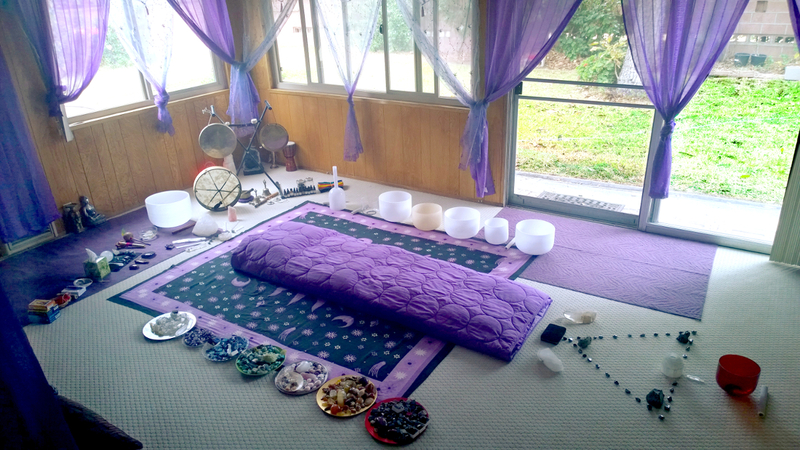 Friday sessions with a personalized combination of Shamanism, Reiki, Crystal Healing, Sound Healing, Aromatherapy, Chromotherapy, Plant Medicine, EFT (Emotional Freedom Technique, Hypnotherapy, Past Life Regression, Psychic Readings, QHHT and more! This will be an in depth healing session, so preparation is important. Below you will find some suggestions to make the best out of the session. Bring comfortable clothing. Eat lightly two hours before the session and allowing some free time afterwards to let the effects settle is recommended. Preferably, no loud places or demanding or stressing activities. No alcohol or drugs for at least 24 hrs. before/after our session, preferably more. Prescription medicines or supplements are ok. For this session, avoid fragrances including essential oils. The night/s before our session, focus on one aspect you would like healing, guidance, or help with in your life. You can do this by writing an intention. If you recall any related dreams when you wake up, write them down and bring them to the session. Prepare to briefly share a life review of key events. This includes anything you know from your conception (prebirth) until today. My contact information and location are sent to you via email in the moment you book your session. I look forward to meeting with you for our appointment with Healing!